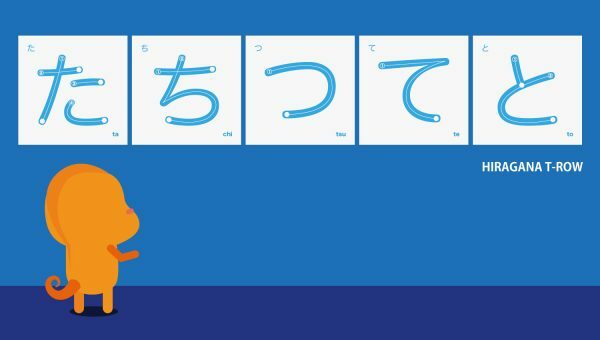 Knowing how to take a Japanese verb and turn it into stem form is very useful. 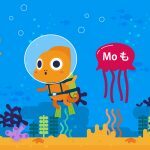 Even if you only began studying Japanese recently, it is, in fact, likely that you already know at least one or two sentence patterns that use verb stems. In this article, we will show you how to turn any verb into its stem form, and then give seven verb-stem sentence patterns. 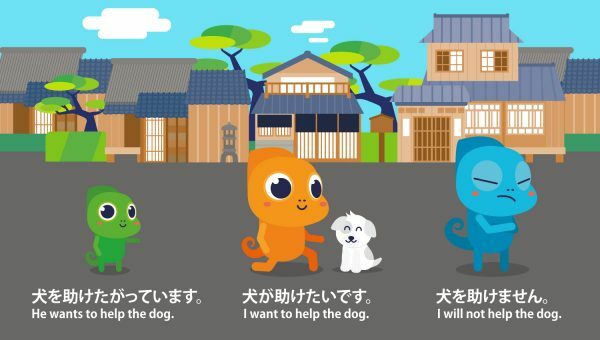 For additional articles on Japanese grammar and conjugation, click here to visit the Grammar section of the Kawa Kawa Blog! 1. If your verb is a Ru Verb, just remove the final “ru” to get the verb stem. 2. Occasionally, sliding down a consonant row (for example, the “T” row) of your chart will result in a different consonant. 3. 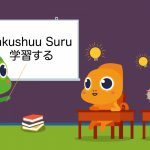 Japanese’s two common irregular verbs, Suru and Kuru, have the stem forms Shi and Ki. *Japanese essentially has two types of verbs: Ru Verbs and U Verbs. If a verb does NOT end with る ru, it is an U Verb. However, some verbs that end with る ru are Ru Verbs, and some are U Verbs! 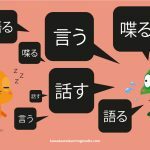 Sadly there is no surefire way to know whether verbs like 乗る noru and 借りる kariru are U Verbs or Ru Verbs other than to look them up, but as you study you will eventually gain a feeling for which are which. One way to check is to run a verb through a few conjugations. For example, the polite conjugation of 乗る noru is 乗ります norimasu because it is an U Verb. If we try conjugating it as 乗ます nomasu instead (as we would if it were a Ru Verb), it just does not sound quite right. Note: In all of our examples, we are leaving out the topic “I” at the beginning of the sentences. When it is understood that the topic of the sentence is oneself, saying “I” is not needed. This also means that if spoken in a different situation, the topics of these sentences could be someone other than the speaker (“she,” “he,” “they,” etc). Usually, -masu form verbs are the first type of verb you are taught to use when beginning to learn Japanese. 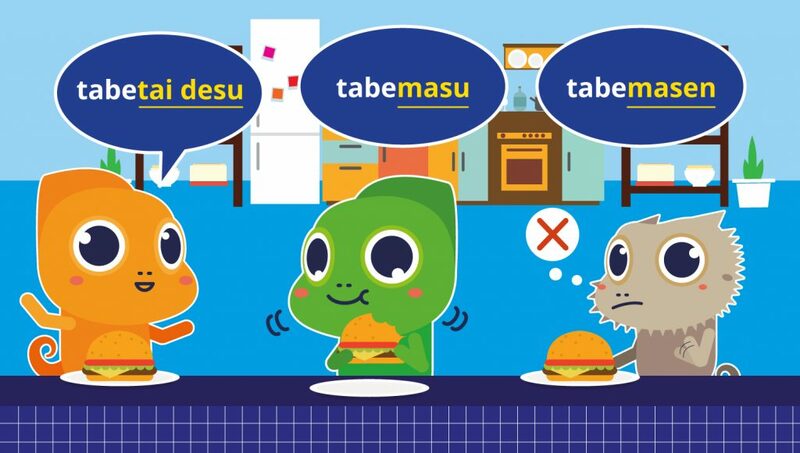 This is because -masu form verbs are quite easy to use and conjugate, and also because they are fairly polite. 1. To make a -masu form verb, simply attach “-masu” to the end of your verb stem. I will help the dog. 2. To make different tenses in -masu form, all you need to do is remove the -masu and attach something different to that verb stem. I will not help the dog. I did not help the dog. For more on -masu form, you can read our article on -masu and -masen here, and our article on -mashita and -masen deshita here. Inu ga tasuke tai desu. I want to help the dog. Inu ga tasuke taku nai desu. I do not want to help the dog. Inu o tasuke tagatte imasu. She/he wants to help the dog. Inu o tasuke tagatte imasen. She/he does not want to help the dog. Inu o tasuke ni ikimasu. I will go (somewhere) to help the dog. Inu o tasuke ni kimasu. I will come to (somewhere) to help the dog. Inu o tasuke nagara, tonari no hito to hanashimashita. While I helped the dog, I spoke to my neighbor. Inu o otasuke ni narimasu. (Someone else) will help the dog. For more on humble and honorific verbs, please see our Keigo article. Inu no tasuke kata o oshiete kudasai. Please tell me the way to help a dog. Inu o tasuke, ie ni kaerimashita. I helped the dog, and went home. This use of stem form is similar to one of the uses of –Te Form that we discussed in our What Exactly is -Te Form? article. That’s all for now on stem form verbs! There are a few additional stem form patterns that we did not have time to discuss in this article, so if you have any questions, please do leave us a comment! Also, feel free to let us know if there are any grammar patterns, conjugations, or other topics you would like to request an article about. We want to know what you want to know!